Energy switching is a great way to save hundreds of pounds on your household bills. 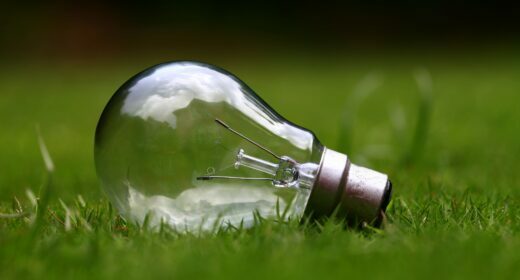 We take a look at the easy steps to switch energy suppliers. In 2014, the average UK household paid £1,158 for its energy. By switching, families on average saved £263 a year. If you’ve never switched your gas or electricity supplier before, or not switched in the last couple of years, you’ll almost certainly save money on your energy bills by moving to a different deal. No, energy switching is really simple. Check out our guide on what you need to switch (in short, it’s your utility bill) and get started. We have a call centre on hand if you need to speak to someone along the way. As soon as you have entered your details, found the best deal for you and switched online, sit back and let the energy companies work things out. This should take about 4-5 weeks. The only thing you might want to check before switching is whether you’ll incur a fee for cancelling your current energy deal. Exit fees are common with fixed rate tariffs if you switch early. Most suppliers should allow you to leave up to 49 days ahead of your tariff’s end date without incurring a penalty. And in reality, even with an exit fee to pay, switching could still save you hundreds of pounds. Once you have switched you’ll receive a confirmation email outlining your new selected tariff. Then over the next 4-5 weeks the energy companies get to work transferring your details. Like any other contracts undertaken in the U.K. you can cancel the arrangement within the 14 days cool off period from date you switched. Once the cooling period is over, the new supplier will talk to the current supplier informing them that your supply is to be transferred. Your new supplier will contact you either during your cooling off period – or just after to confirm your supply details as well as confirming your direct debit details, in what is known as a welcome letter. You should also be provided an account number which can be accessed via the suppliers recommended method. You will be at this point or shortly after be provided the contract start date. This is your prompt to provide the new supplier with an opening meter read on the start date. Your new supplier passes on this opening meter read onto the previous supplier enabling them to close the account and generate an accurate final bill. This final bill from the previous supplier arrives around 4 weeks after your new supplier has taken over. Ensure you clear the final bill with the previous supplier, as you are liable to pay for it. Do not cancel any direct debits with the previous supplier until the balance is cleared or any credit is accordingly passed back to you. Cancelling the direct debit before the final bill is cleared may result in an administration charge on your account. Now that you have left the old supplier, and joined the new supplier successfully, it’s time to start enjoying cheaper energy bills. If you have any problems along the way, our call centre is on hand to help work things out on your behalf.